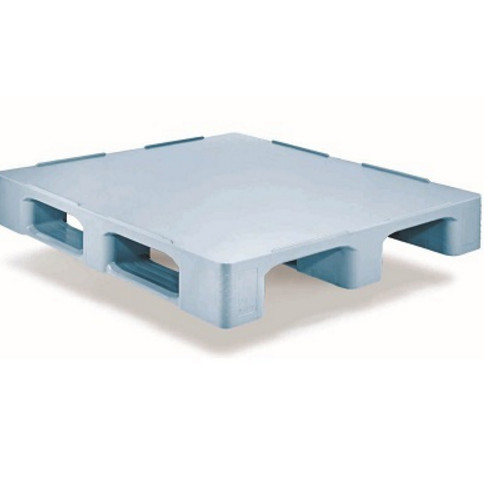 We are the Leading Manufacture, Supplier and Importer of Plain Top Pallets in Chennai, Tamil Nadu, India. Which is Hygienic, easy to clean and wash.
KMS Plast World Private Limited an ISO 9001 certified company has emerged as one of the biggest solution provider and leading supplier of plastic products in industry caters in material handling, storage systems, industrial storage solutions, solid waste management sector etc. We are the one of the prominent suppliers in South India and we are always providing the customized solutions to our clients in order to keep them in atmost satisfaction. Further, with our dedicated approach, we are successfully meeting the demands of our clients with a wide range of plastic products. Our range includes Plastic pallets, Waste-bins, Chemical storage tanks, Dosing Tanks, Industrial crates,Sintex Water tanks, Septic tanks, Insulated boxes, Chemical Tanks ,UPVC doors and Windows, Mobile toilets, Hygiene trolleys,Pallet Trucks, Fork lifts and Prefabricated ready-made solutions such as Security sheds, Site office , Labour camps, Readymade toilets and Pantry cabins. We also provide unique solutions in supplying an assortment of Building Products, Environmental Products, Material Handling and Industrial storage products. We are looking for inquiries from South India as we are catering the states of Tamil Nadu, Andhra Pradesh,Karnataka and Kerala.